As the London Harvest Festival draws nearer, it’s time for our family volunteers to get more accustomed to handling our animals. Some of us may be showing the animals at the festival, so we want to get plenty of practice in. Volunteers are getting more and more confident around the animals each week. We started the day with our regular egg collection, which involves going into the chicken coops. We checked both chicken coops and found seven eggs! We took turns picking them up very carefully and putting them in our bucket. We did this very well, as none of them cracked. We had some new volunteers with us this week, as well as some, who hadn’t been for a while, so we walked around the farmyard for a bit, looking at and saying hi to all the different animals. We were quite keen to hold them, so we took Marmite the ferret out and took turns to hold her and stroke her for a while. Once we put her back to go to sleep, it was time for the hard work to begin! 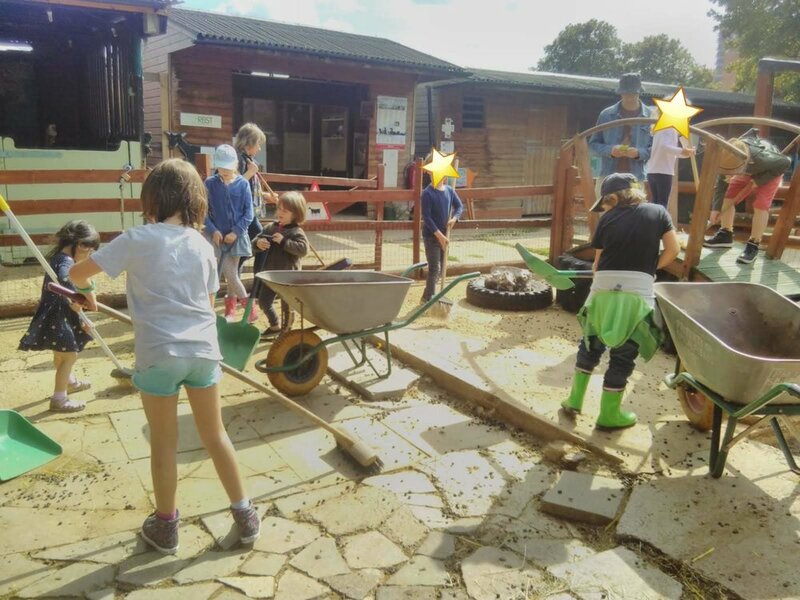 This week we swept the goat paddock, which had loads and loads of poo in it! Some volunteers were worried about stepping in it, and weren’t too keen on sweeping it up, but they became very relaxed about it, and ended up finding it fun in the end, and laughing at the poo on their shoes! We cleaned up one half of the paddock, while the goats were in the other half, and then switched once our half was clean. We kept ourselves separate to the goats, as Bramble wasn’t feeling well, so we didn’t want to disturb her. We did a thorough job mucking out the paddock, and made sure to empty the waste into the muck heap. Some of us found it very smelly, but found it interesting that the muck would eventually be used to help us grow plants at the farm! We put our tools away and washed our hands, as we needed a break for water after all our hard work! We were also working in the sun, so it was important we took a break in the shade. After a five minute break, we headed back up to the farmyard and got Mario the Sebright chicken out, so we could learn about how to handle chickens. 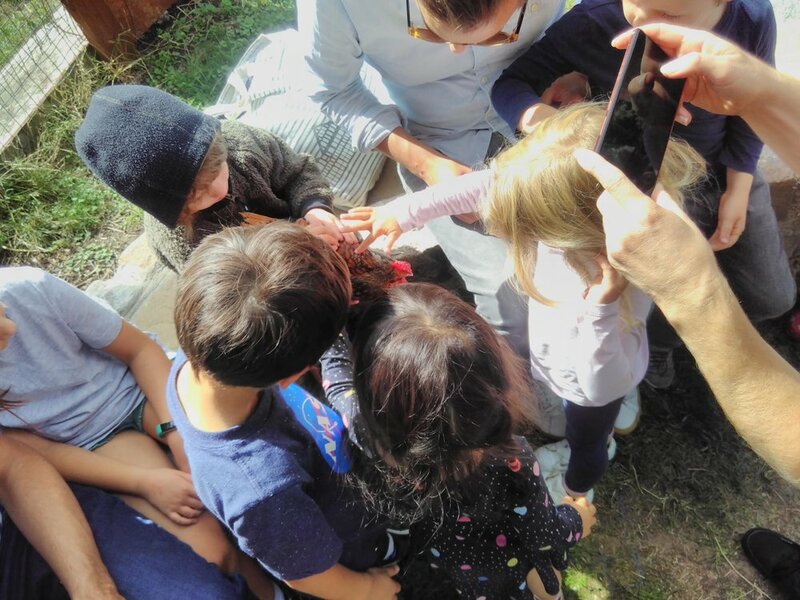 We all listened and watched very well as Mollie the farmer showed us how to hold Mario, and how to check his wings are healthy. We each took turns to hold and stroke him. He liked it so much, he started falling asleep!